The University’s Weinberg Memorial Library is requesting volunteers and book and tag sale donations for its annual spring book sale set for April 27-28. All proceeds from the book sale will benefit the Friends of the Weinberg Memorial Library Endowment, which supports library collections and services. 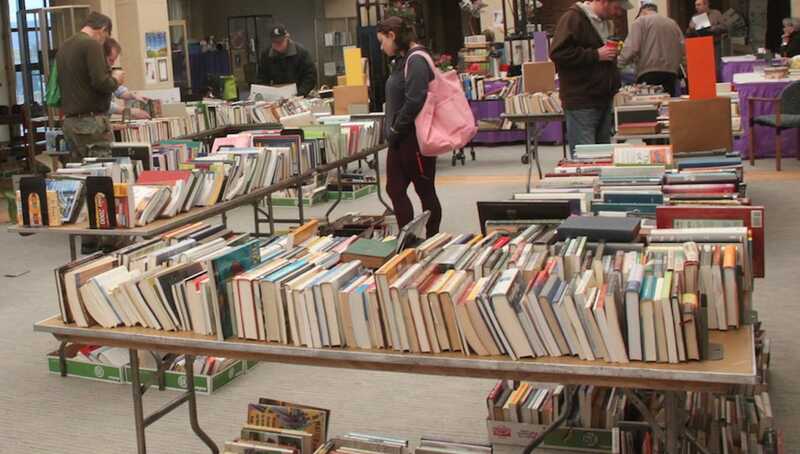 The University of Scranton’s Weinberg Memorial Library is requesting book and tag sale donations for its annual spring sale, which is planned for the last weekend of April. The library is also seeking volunteers to help with preparation and staffing for the event. All proceeds from the book sale will benefit the Friends of the Weinberg Memorial Library Endowment, which supports library collections and services. The Friends of the Weinberg Memorial Library, the library staff and volunteers will conduct the event. The library will accept any hardcover or paperback books in good condition, including children’s books, cookbooks, fiction and non-fiction. In addition, the library is collecting media and tag sale items. Donations may be placed in the boxes on the Monroe Avenue side of the library. Donations will be accepted now through Wednesday, April 24. This year’s book sale is scheduled for Saturday, April 27, from 9 a.m. until 8 p.m., and Sunday, April 28, from noon until 4 p.m., in the fifth floor Heritage Room of the Weinberg Memorial Library. A special preview sale will be held on Friday, April 26, for Friends members and Schemel Forum members.